Study- A comprehensive design with maximum storage for the whole family, incorporating a mixture of open and closed units. A matching RAL colour was chosen for the shelving to compliment the window colour, bringing different elements together. Matching Dekton worktops were used to keep the scheme consistent, being extremely durable this also suited the study which was being used by the whole family. Tv units- Sleek and sophisticated, these minimal units hide away TV essentials whilst allowing the remote control to work through the black glass pane. 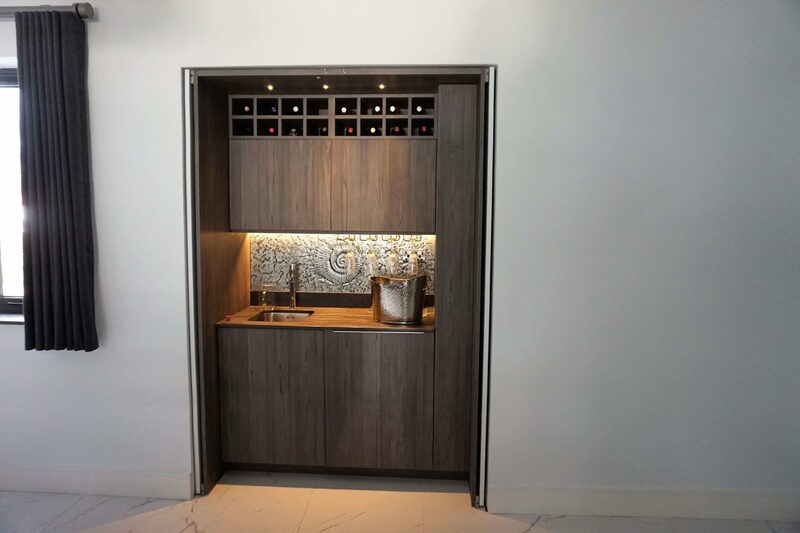 Bar- Hidden behind push touch pocket doors, the bar can be opened to reveal a functional and streamlined setup, containing a small fridge, snooker cue pull-out, sink and wine glass racks. Bedroom drinks area- Perfect for a morning cup of tea or an evening glass of wine, this compact design incorporates a fridge, sink, tap and storage. 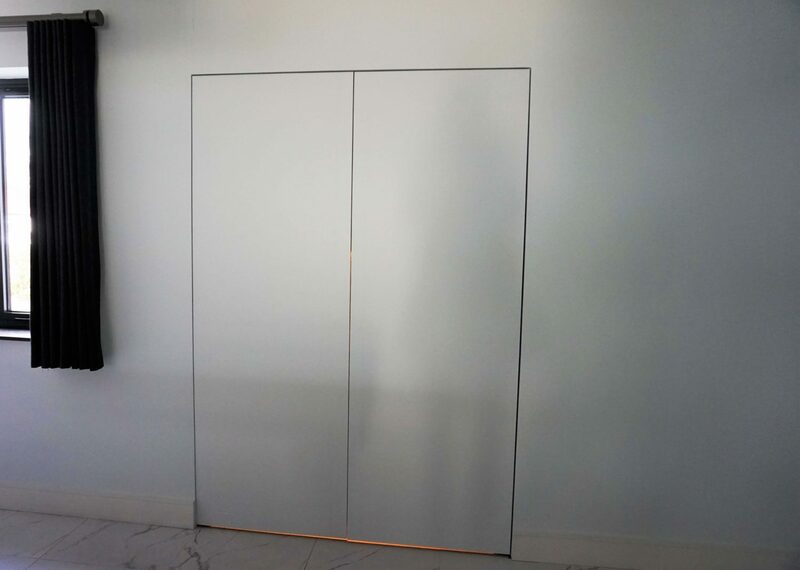 The sliding door can be closed so the units are hidden from sight when relaxing in the bedroom space. Pool house- Used for guests and a social space for entertaining. This kitchen was part of the open plan living space and included everything you would need; American fridge freezer, microwave, oven, induction hob, island with bar and feature wall units with integral black glass. The platinum grey and marble effect Dekton paired together perfectly to provide a contemporary yet welcoming feel to the space.